Conveniently located at the intersections of I-10 and I-65, the Port City is just a short drive away from New Orleans, Jackson, Birmingham, Atlanta, Jacksonville and other southern cities. Whether you&apos;re traveling by bike, car, plan or boat, finding your way to and around Mobile is simple and fast. 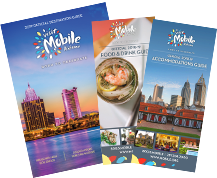 Mobile boasts traditional and innovative transportation options to help you navigate the city. There are two airports, the Mobile Regional Airport - www.mobairport.com- and the Mobile Downtown Airport which is part of the Mobile Aeroplex and mainly a private facility. 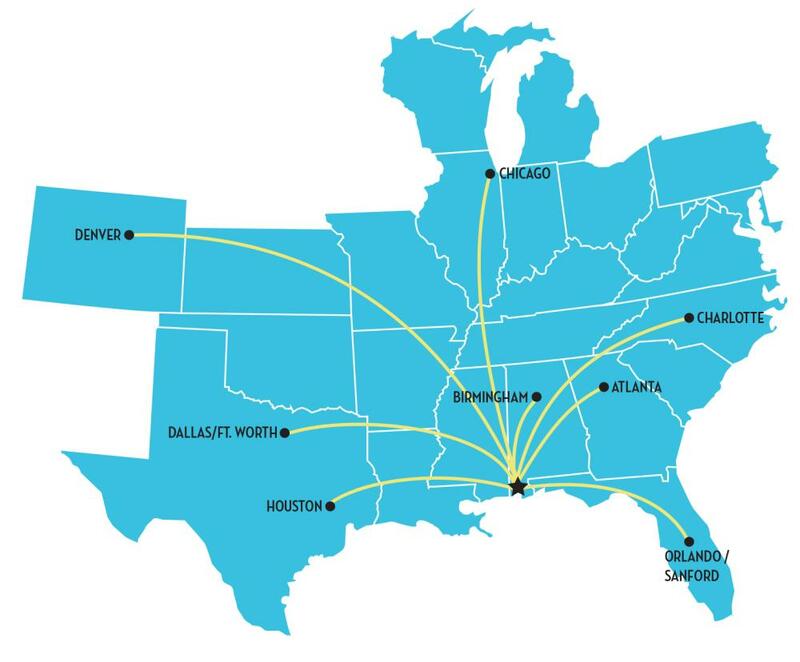 Below are the direct flights that currently fly into Mobile Regional Airport. There are a number of cab, limo, Uber, Lyft, car rentals and bus services to transport any size group around town. Don't forget about The Wave Transit System, with buses that run all over the city, including the LODA MODA! that ushers guests around downtown Mobile. Downtown also offers a bike rental system, provided by Regions Bank, available at the Urban Emporium on Dauphin Street.